Using an advanced picture quality improvement algorithm, Samsung’s Wide Color Enhancer Plus drastically improves the quality of any image and uncovers hidden details. See colors as they were meant to be seen with Wide Color Enhancer Plus. 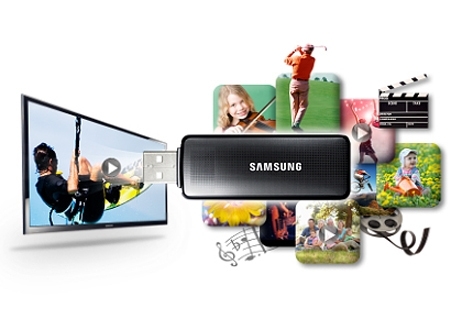 Transfer content from one USB to another via TV. You can now swiftly transfer your photographs, movies and music from one USB to another through the TV, without using a computer. No more wasting time waiting for a flash drive to finish copying, just direct transfer the 2 USB drives fast and easy. 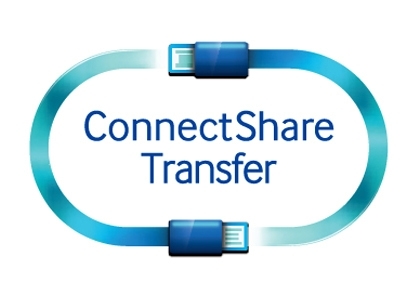 With ConnectShare Movie, simply plug your USB memory drive or HDD into the TV and instantaneously enjoy movies, photos or music. Now, you can experience a wide variety of content in the comfort of your living room on your TV. All is made easy for you so you can sit back relax and just watch your movies. Freeze the screen so you can take a moment in detail. Take picture screenshots while watching TV. Capture your favourite moments on the screen at the push of a button and save the image on an external storage device connected to the TV. You can view the stored image anytime and re-live your favourite moment. 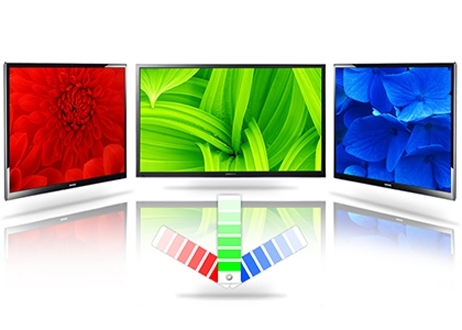 This Samsung LED is equipped with block capacitors that allows the TV to absorb lightning strikes up to 15KV. Also, each chipset is coated with Silica Gel and Anti-humidity glue to protect the TV from moisture. 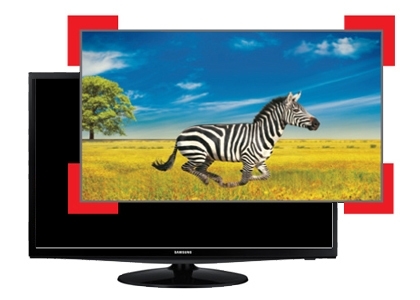 Finally, the TV comes with varistor blocks and capacitor that can withstand up to 750V of high fluctuation.